For over ten years, the St. Louis Mercy home has formed a special connection with a local community theatre: The Muny. This summer the St. Louis Mercy residents have had the privilege to attend several Broadway-style shows. 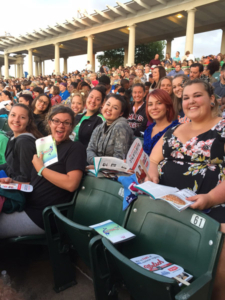 Every year, The Muny donates tickets to non-profit organizations like Mercy Multiplied as one of their missions to make exceptional musical theatre accessible to everyone. The Muny, in its 99th season, has a new show every week throughout the summer. The summer productions require a team of more than 600 people each week to bring the musical performance alive in Forest Park, a public park of St. Louis. 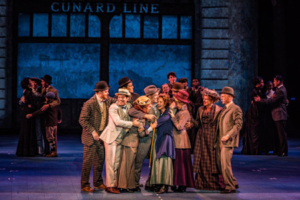 The St. Louis residents have attended: The Little Mermaid, All Shook Up, and The Unsinkable Molly Brown. They will also attend Newsies: The Musical. Mercy is thankful for partners like The Muny whose generosity has helped create unique opportunities for our residents. For more information on how you and your organization can partner with Mercy to impact the lives of young women, click here.